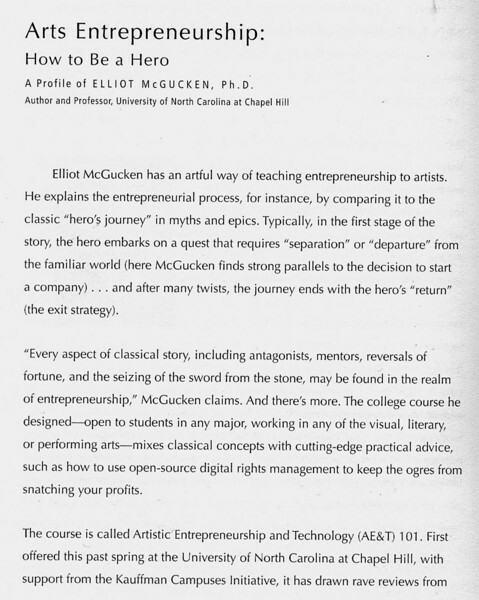 "McGucken created the Hero's Odyssey Entrepreneurship Festival to raise appreciation for the role that classical literature and the arts play among future generations of entrepreneurs." 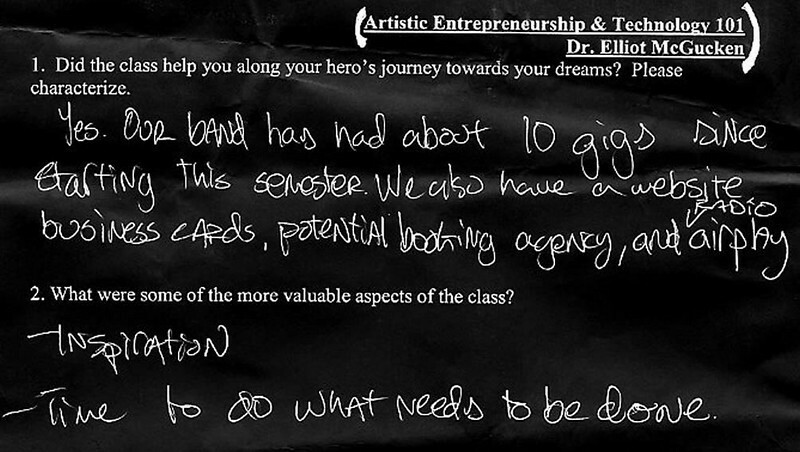 Students from a variety of majors are coming together in a classroom setting to make their dreams come true. 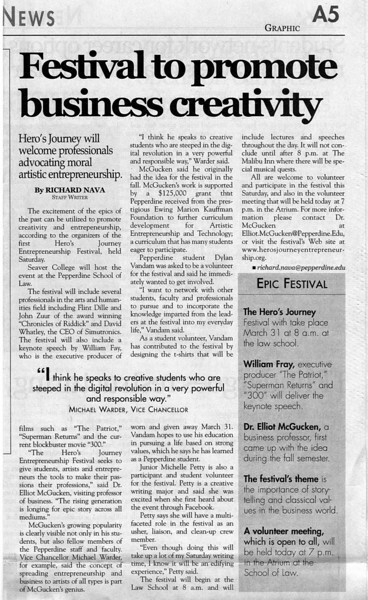 The class, Artistic Entrepreneurship and Technology, is listed through the Business Division, but all students may participate. 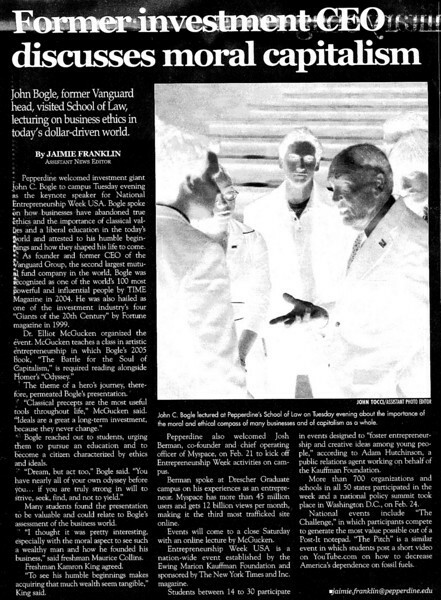 The course was added to Pepperdine's curriculum this year, and is taught by a visiting professor, Dr. Elliot McGucken. 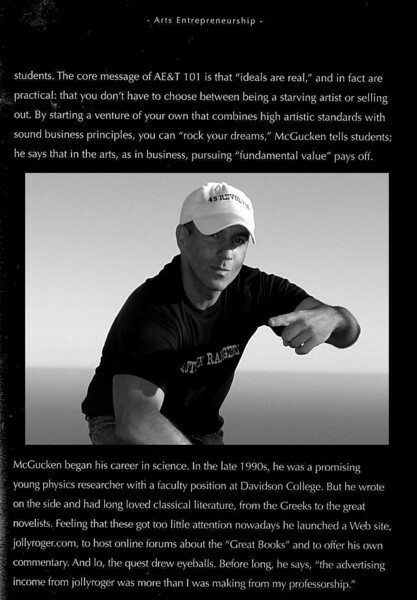 McGucken previously taught a similar course at the University of North Carolina at Chapel Hill, and has implemented the course in his new post at Pepperdine. The course is being offered in two forms: as a freshman seminar course and as an upper-division class, comprised mainly of juniors and seniors. 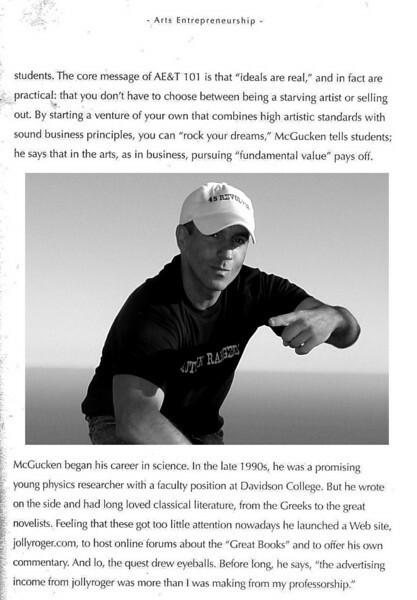 McGucken said the goal of the class was to help students pursue their passion in their careers, and to keep in mind their artistic vision and ethics over the bottom line in business ventures. Dr. E has taught The Hero's Odyssey in Arts Entrepreneuership & Technology as an MBA class, a freshman seminar, an upper-level business class, and a class open to all. 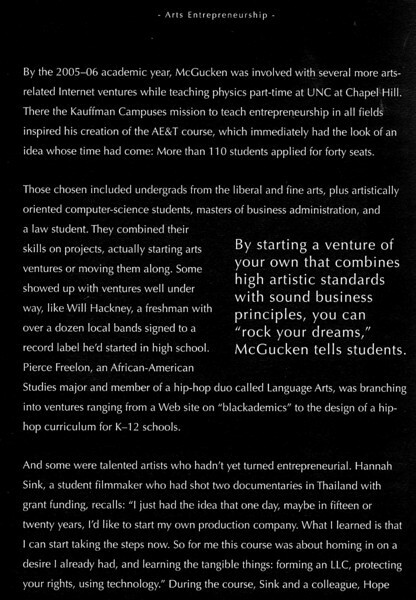 Law, MBA, Business, English, Film, Entrepreneurship, Computer Science, Physics, Communications, Journalism, Music, and Art students have taken the class. He has taught the class at UNC Chapel Hill and Pepperdine Univeristy, and he has lectured at places including SXSW, UCSD, UCLA, Chapman University, IHS, Duke University, Wake Forest Univeristy, Syracuse University, Harvard, and Princeton. 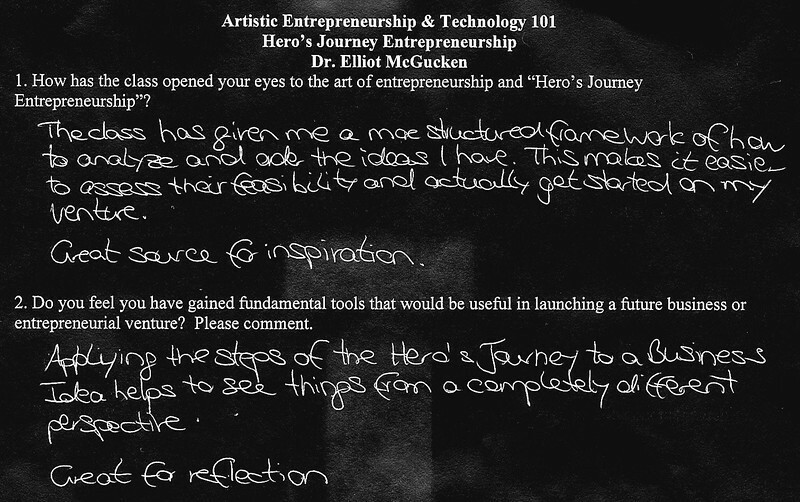 Below please find some of the students' and lecture attendees' feedback. for The Soul of Capitalism was my favorite. . ."
"This class is a dream come true!" 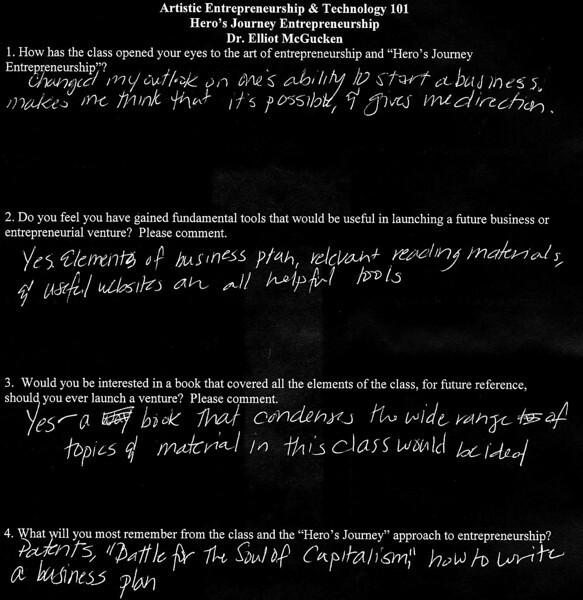 "I loved the class and really enjoyed the reading." 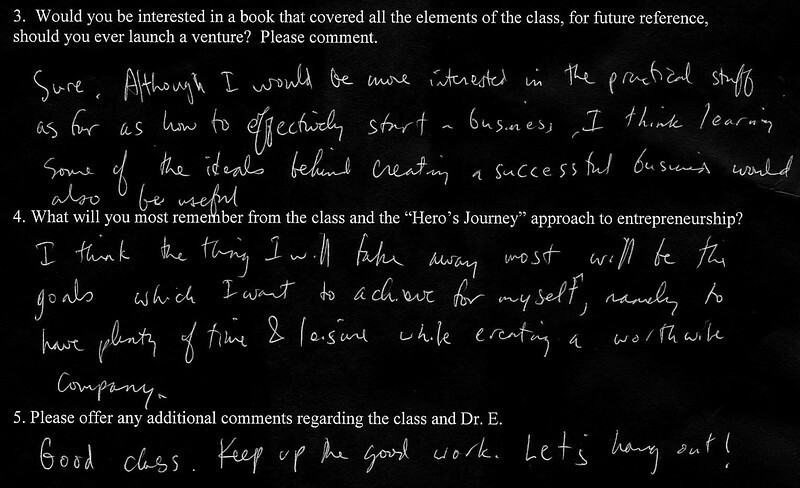 "I truly enjoyed this class." 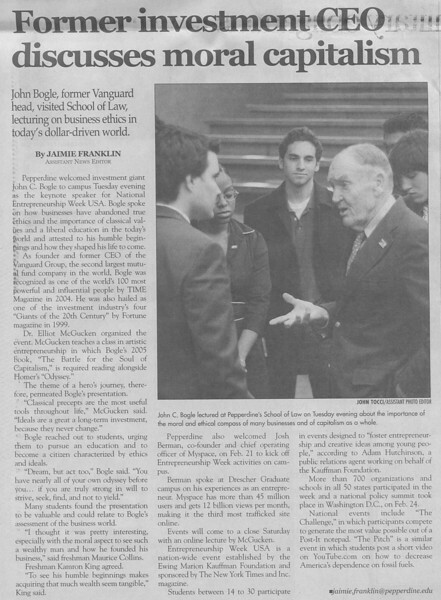 class, which makes it much easier for students to be excited, as well." liked most about the class)". such a common theme I had never noticed before." venture. Thanks for a great class!" "Good class. Keep up the good work." "Make your passion your profession." 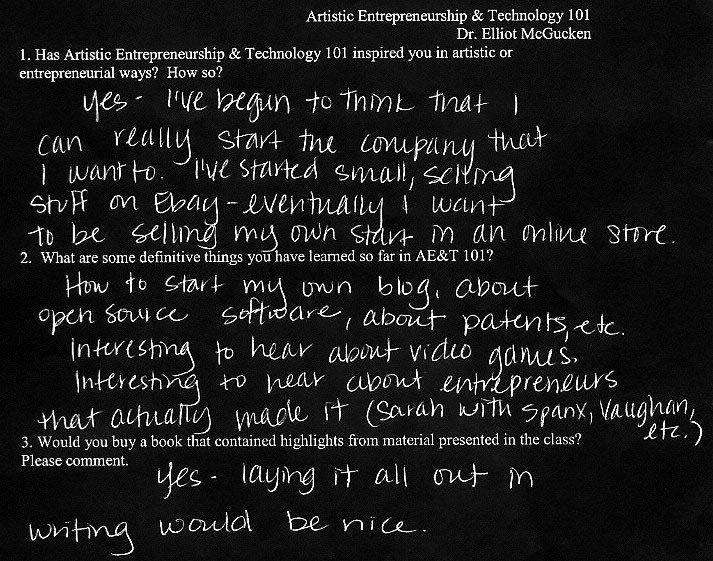 and get my business started with all of my ideas." doing what I am doing." started on my venture. Great source for inspiration." things from a completely different perspective. Great for reflection." 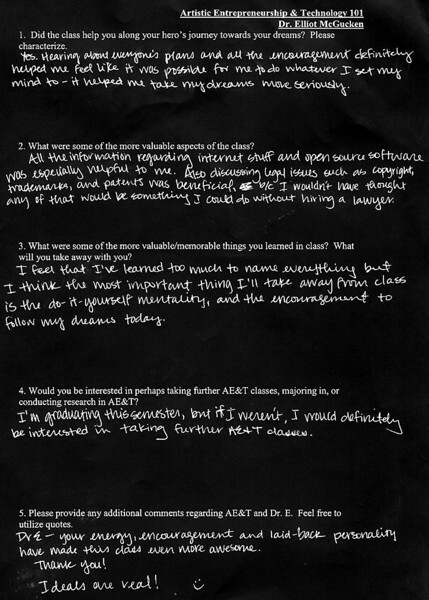 academic who has first-hand experience." 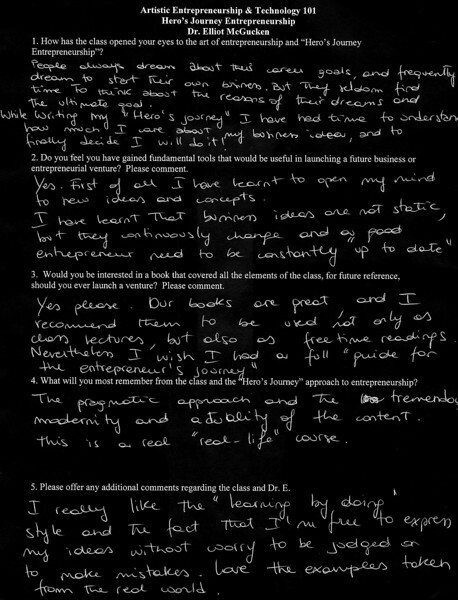 much I care about my business ideas, and to finally decide I will do it! the content. This is a "real-life" course." this class even more awesome. Thank you! Ideals are real!" needs some help achieving it." 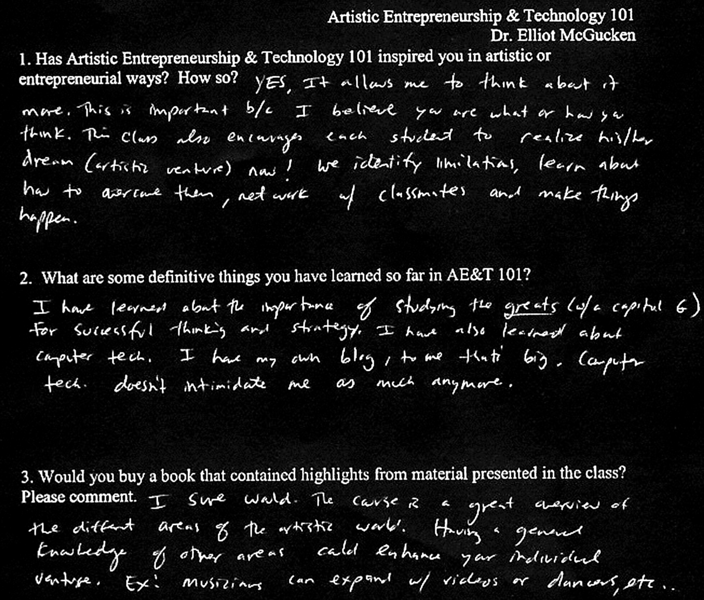 class helped respark my dedication to it." imagined. 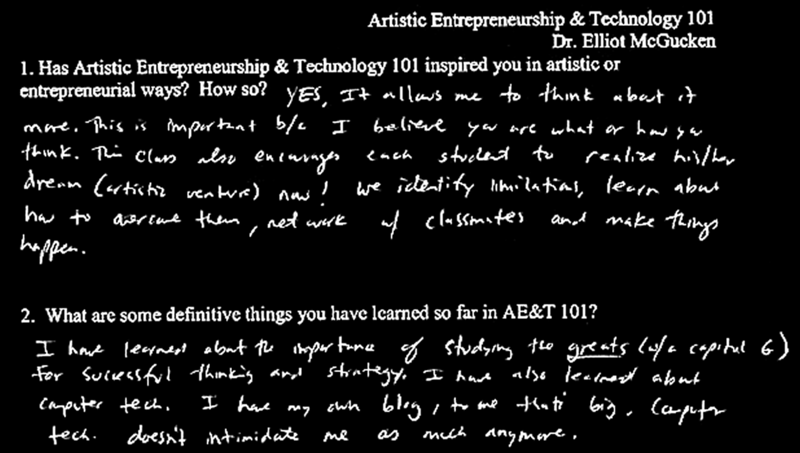 I want to develop a multitude of artistic ventures." 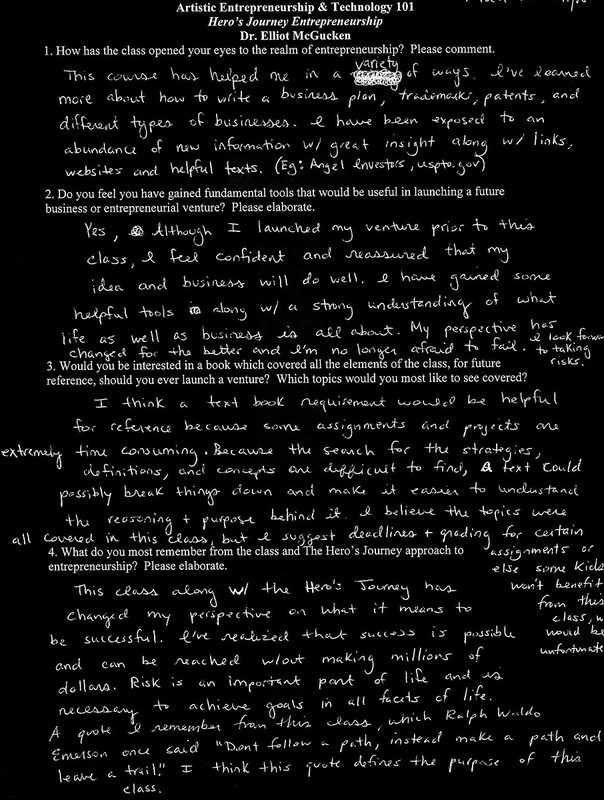 "I've begun to think that I can really start the company that I want to. selling my own stuff in an online store." together a killer press package." mentality, and the encouragement to follow my dreams today." 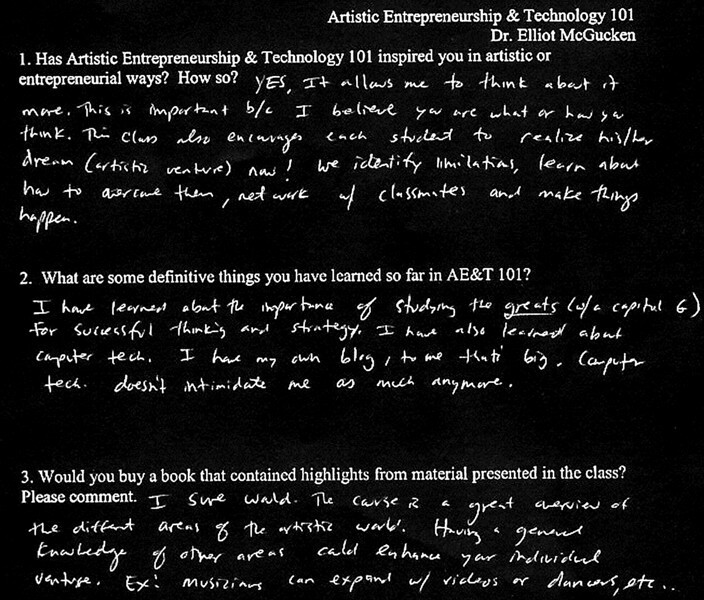 interested in taking further AE&T classes." copyrights, trademarks, and patents was beneficial." were so helpful! Thanks for a great (last) semester!" "It's great--like a pep talk at the start of each weekend." business major to start your own business." 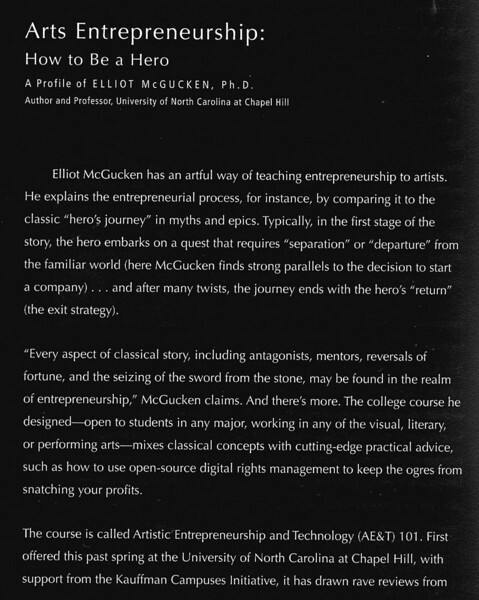 classics such as The Odyssey and the art of entrepreneurship." 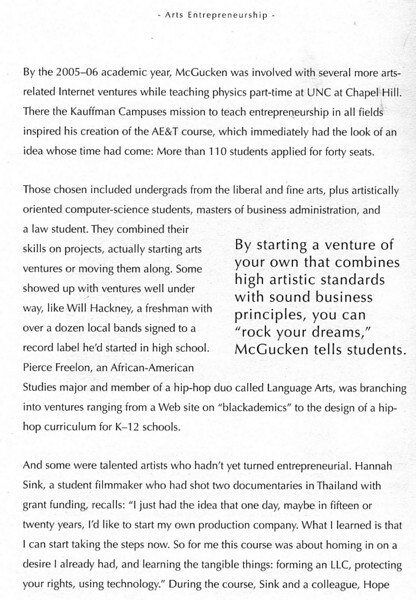 traditional founding ideas of an American Univeristy"
use lessons from the classics to help us along in that odyssey." actually benefit me in the future!" "Thanks so much for teaching this course Dr. E!" practices/concepts, but in the classical ideals." on continuing to study these books for the rest of my life." "This was my favorite class!" 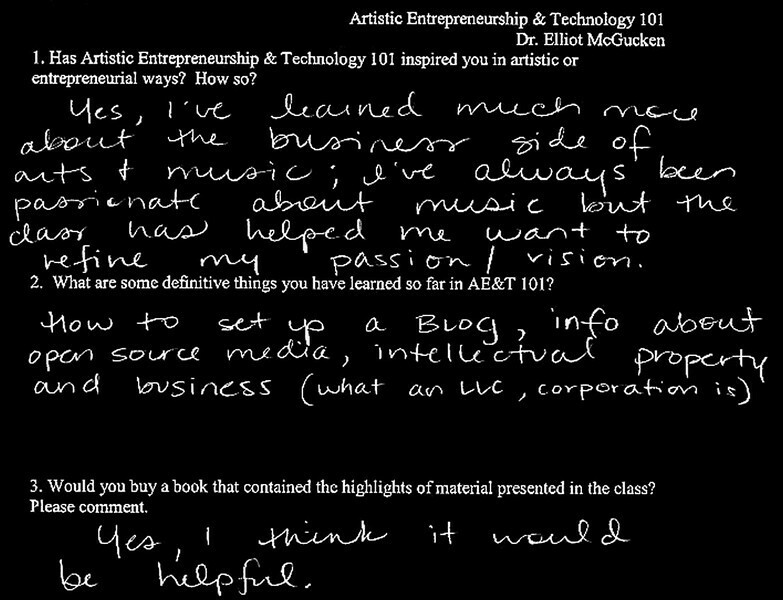 "Great class--I learned so much useful information." definitely want a 45SURF shirt when you get some in!" extremely helpful in launching a business." better one. I will remember all the ideas and insights. . ."
the limitations enforced by our society." different it is very hard to succeed." "Dr. E's Great! I love it!" "what an amazing class! Thank you :)!" 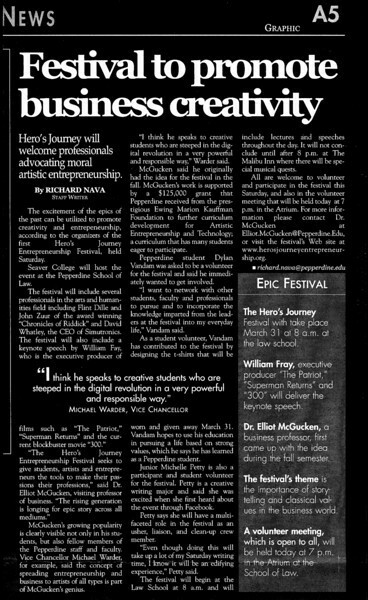 inspiration to overcome obstacles and to continue to "walk the path." the time to teach us." "You're inspiring Dr. E!! I'll definitely remember you!!" "I had never before considered entreprneurship to an adventure. . .
use in launching their venture." 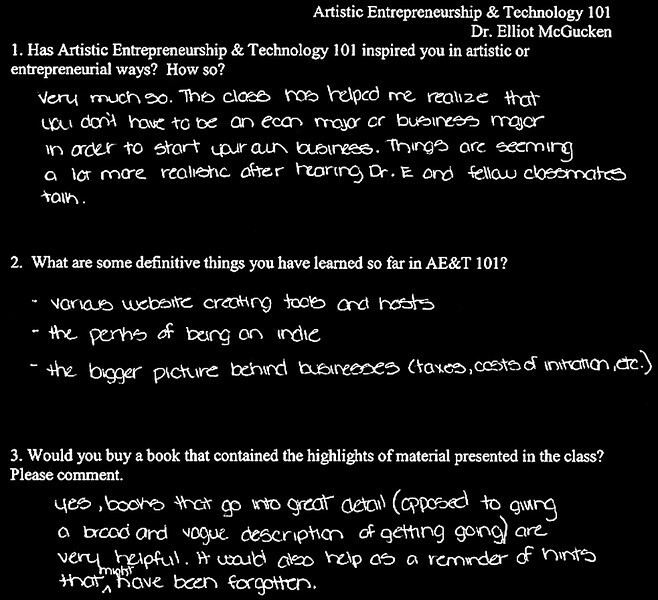 "A great class! I learned so much!" this class in a referenceable nutshell!" values one needs to succeed." CHAPEL HILL, N.C. UNC faculty will explore development of a concentration in artistic entrepreneurship thanks to a $38,000 program development grant from the CEI Innovations Fund. 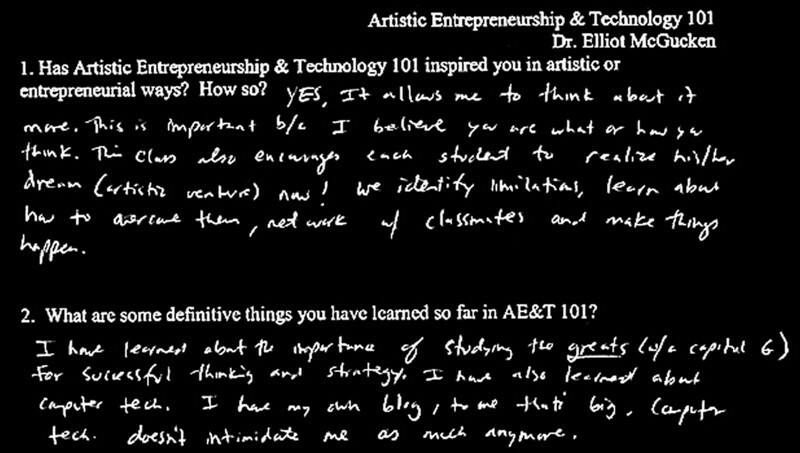 Dr. Elliot McGucken, professor of physics and programming, received the grant to lead development of a proposed new Artistic Entrepreneurship Initiative. 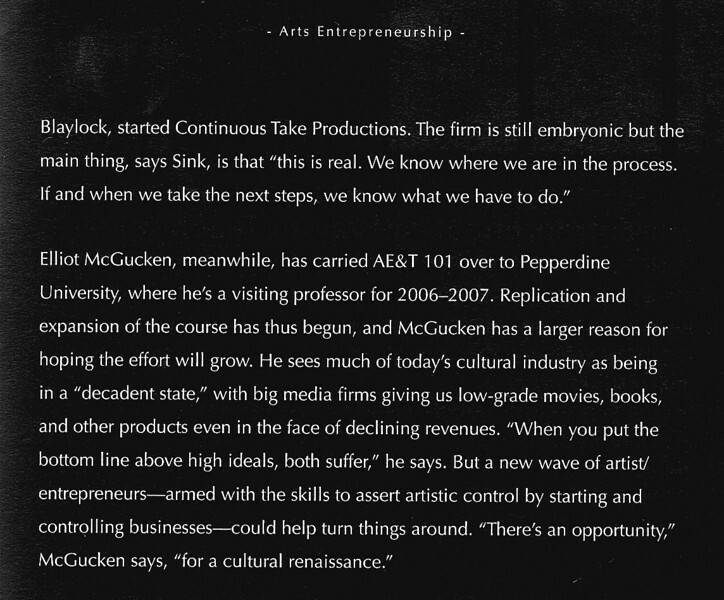 . .
"The digital media revolution is fostering a natural convergence in the arts, entrepreneurship and technology," says Dr. McGucken. "This convergence provides extraordinary opportunities for UNC students and faculty, from arts management, independent record labels and video game companies to media distribution, small presses and digital rights management." The initiative envisions a new curriculum to help artistically inclined students from the humanities and sciences explore those opportunities and create sustainable social and commercial ventures from them. 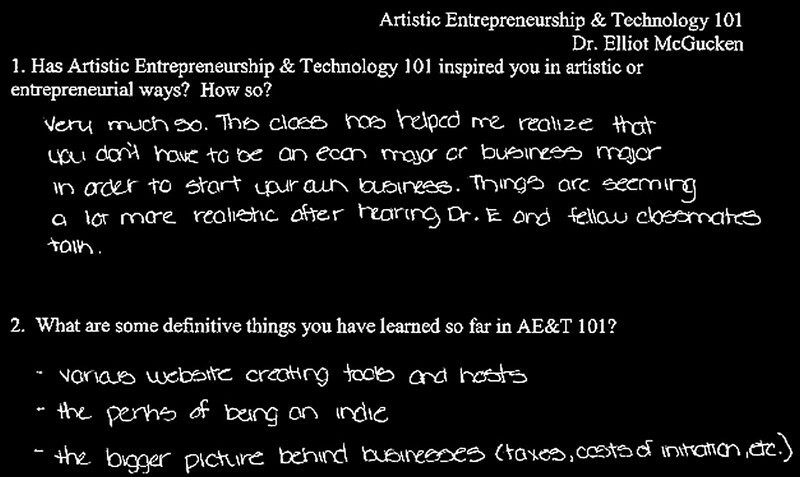 A pilot course, New Media Arts, Technology and Entrepreneurship 101, will be offered Spring 2006. Students will pursue independent, semester-long projects to build ventures that incorporate technology and the arts, such as media archives, production companies, record labels, distribution centers and galleries. 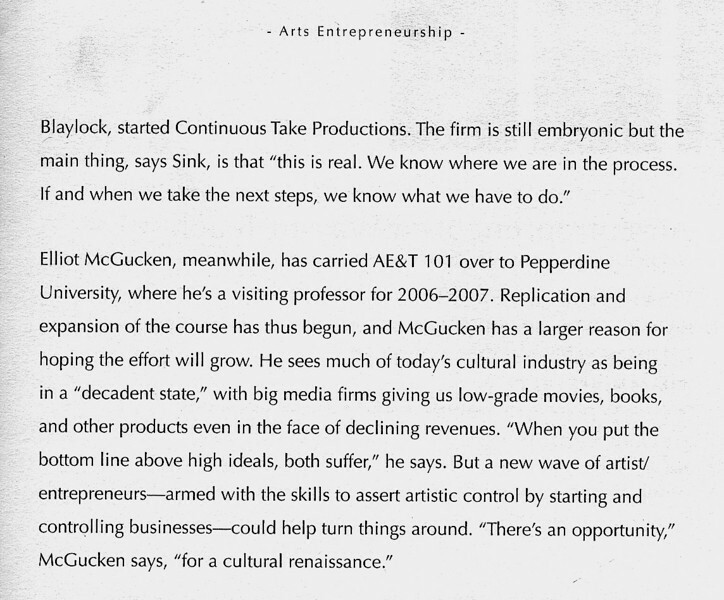 The artistic entrepreneurship program would complement business and social entrepreneurship tracks launched by the CEI in the 2004-2005 academic year. The planning grant for the new program is the second awarded by the CEI Innovations Fund, which is designed to seed faculty proposals for new programs that will keep the initiative fresh and stimulating. The Campus Y received an Innovations Fund grant in the fall to develop a new Social Justice Entrepreneurs Program.